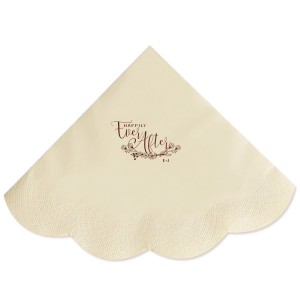 Add a touch of style and sophistication to your formal affair with these scalloped luncheon napkins. 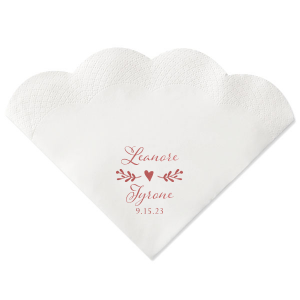 Their scalloped edge offers a classy, ornate accent to your wedding. 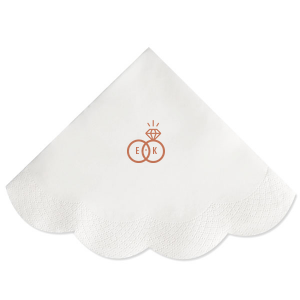 Available as a classic white napkin or ivory napkin, these scalloped napkins are the height of class. What makes them even better is your personalization! 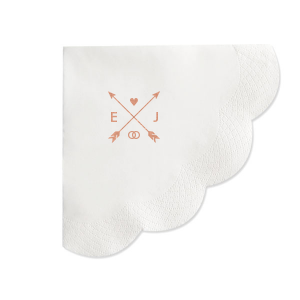 Add a custom monogram in the classic For Your Party shiny gold foil to create a polished, elegant look. 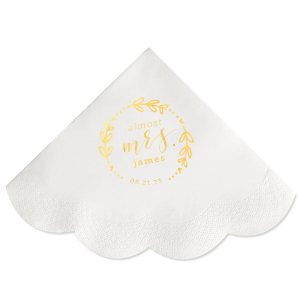 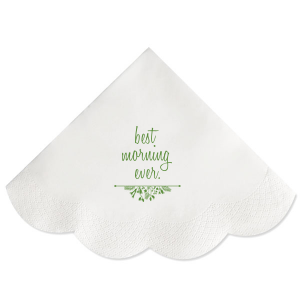 You can also add your personalization to one of our readymade napkin designs like an earthy floral frame, trendy word art or other stylish graphic. Create a unique design specific to your affair by starting from scratch or even uploading your own art. 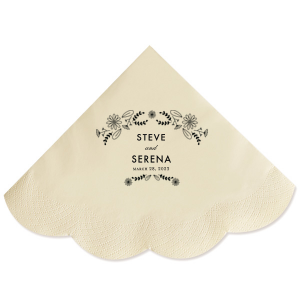 Maybe there is a certain graphic like a key or bicycle that means something special to your wedding or event. 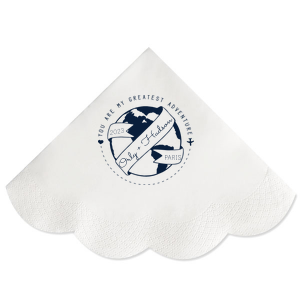 You can have that custom printed on your scallop luncheon napkins as well! 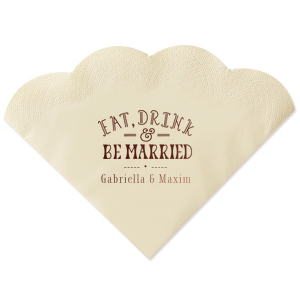 Personalized scallop napkins are perfect for a bridal brunch or a formal tea party for your daughters birthday. 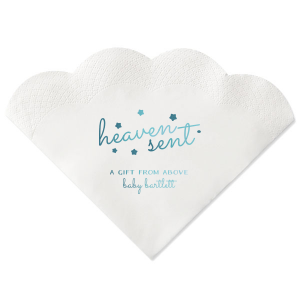 Their sweet shape also makes scallop luncheon napkins a darling addition to baby shower dècor. 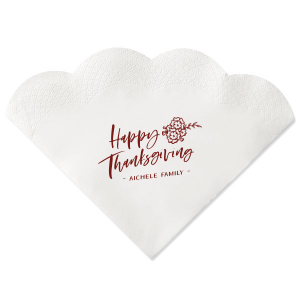 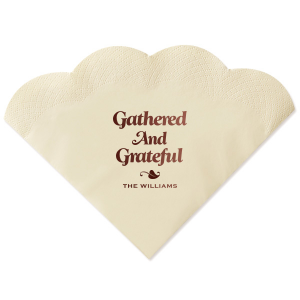 For Your Party’s customizer allows you to create personalized napkins perfect for any party, and these scalloped luncheon napkins are just the thing to make your party special.